"sweet....who are we missing?" NAmi asked. 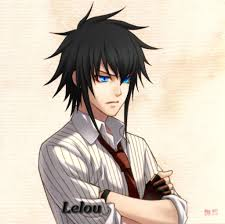 Kaito: Looks like... Sid and Kisara..
"hmm...where are they?" Nami looked around. "no idea..they just kinda left us." Korra sighed. I can see that " korra yawned. "a last moment to be alone together before your stuck on a trip with a group of people." Kaito: Smart way to do things..
"yea? why don't you and Nami take this to the Bison." Korra handed Kaito a box, and winked at him. Korra handed Nami a bag and shooed them both out of the shop. NAmi sighed. "alright..back to the island to the Bison house.."
"at least we know they didn't leave yet." Nami smiled. "me too..."the boat ride was quick and Nami lead Kaito to the Bison house. Nami put the bag down and looked at the bison. "Which one do you think we're taking?" Kaito: I think Korra should've been specific..
"yea.....but that's Korra for ya"
Kaito: ..... Heh, should be good. Nami ducked as the Bison tried to lick her. It missed Entirely and headed straight for Kaito. The Bison licked Kaito, leaving him dripping in Bison salivia. NAmi was on the ground laughing. Nami burst into another fit of giggles before bending the salavia off of Kaito..although his hair still stood on end. NAmi laughed, pulling the Bison out of the barn and into the open. "Korra and the other's should be here soon, then we can go do what we're doin."